Minecraft Creeper figure with accessory. 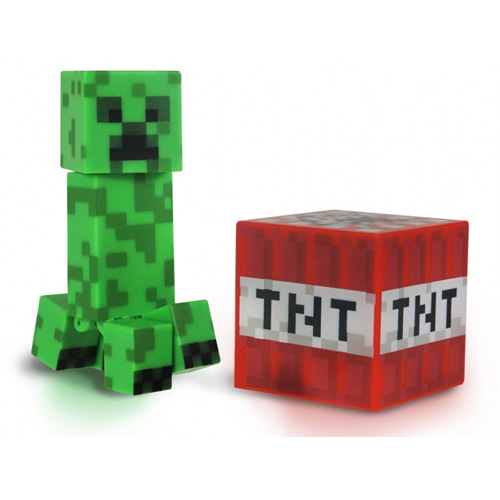 Creepers stealthily approach players and explode at the most inconvenient of times. They're vulnerable to cats and ocelots, and make an omnious hissing noise when they're about to pop!